“A tie again?” Surprise him with this twist on the most tired Father’s Day gift there is. 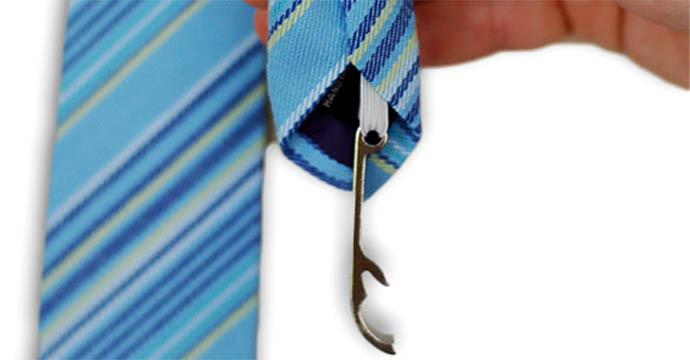 The tie itself comes in several color variations, but tucked inside each one is a handy bottle opener. Dad will be the life of his next office party, and you’re sure to get a laugh out of him when he figures out what you’ve done.